Safety from electrical shock is required for workmen whether they are involved in electricity generation, transmission, distribution or its use. 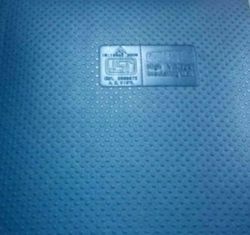 Surface: Upper surface of the mat is having small anti-skid aberration marks (rough surface, without edges) to avoid slippery effects and lower surface is plain. Nitrile Rubber Sheet is the combination of co-polymer of butadiene and acrylonitrile. It is specially made to prevent oil attack, meaning its mechanical properties stay intact while even in direct contact with grease and oils. The sheet bears up contact with hydrocarbons, industrial oils, kerosene and high temperatures and is mostly used in food grade applications in food processing and health industries. We offer following Silicone Rubber Sheet that are well known for their features, such as accurate dimension and good performance in adverse climate conditions. These are in great demand in the industries, such as electronics and automotive. These silicon products are offered in various specification to meet the demands of our clients. 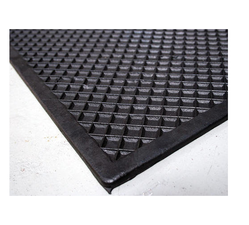 We have been supplying and exporting a variety of Electrical Safety Rubber Mats.We provide high quality of raw material. Designed as per the industry set standards, these mats are known for their impeccable design, smooth finish and optimum insulating property. We are one of the leading suppliers of Silicone Rubber Coated Fiber Glass Cloth, which can be availed by our customers in various color combinations. These cloths are highly demanded in the market because of features like flexibility and smooth & glossy finish on both sides of the fabrics. These products are high on quality and are primarily used in various industries. 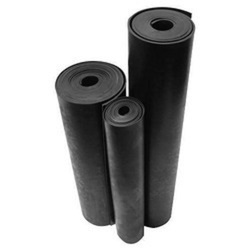 We are one of the leading supplier of an impeccable range of Neoprene Rubber Sheets. These products are fabricated in compliance with I.S., B.S., ASTM 2000 norms by employing the high-grade raw material. These high-grade products are provided to our clients at market leading prices.